Having been diagnosed with chronic post-traumatic stress disorder in 2002, Former 911 operator and KPU alumnus Rae-Lynn Dicks was invited to speak at the Connections in First Responder Mental Health conference on Feb. 23 and 24. The symposium was a joint effort between the Criminology department at KPU and Badge of Life Canada, a non-profit organization that supports the mental health of police and corrections professionals. 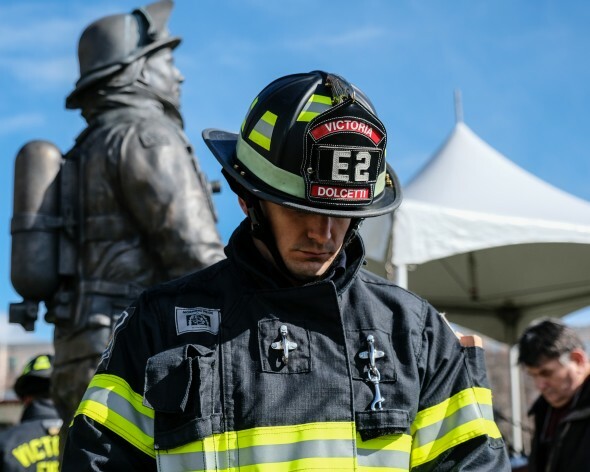 Dicks’s presence as a speaker and panelist was meant to bring the realities of PTSD into focus, specifically for first responders such as 911 communications operators, firefighters, paramedics, law enforcement, and correctional officers, among others. It also served as a way to reach out to KPU students and begin a conversation about pain and trauma. According to the Canadian Mental Health Association, PTSD is a mental illness that involves overwhelming exposure, firsthand or otherwise, to a traumatic and frightening event including sexual violence, the threat of death and serious injury, war and conflict, or a natural disaster. The symptoms of PTSD cause a re-experiencing of trauma, and many people, most notably first responders—who experience higher rates of PTSD than other professions—suffer from vivid flashbacks or night terrors. Ultimately, victims of PTSD can develop feelings of numbness with respect to their emotions, fall into depression, or feel disconnected from reality. Dicks, who survived a suicide attempt and went on to complete a Master of Arts degree in Criminal Justice from the University of the Fraser Valley, is now committed to sharing her lived experiences so that mental health be prioritized for victims of trauma. KPU Criminology instructor Alana Abramson, who helped in organizing and facilitating the symposium, sees students as the greatest potential benefactors of the conference. She argues that Criminology education at KPU ought to be holistic, and that hearing a multitude of voices is useful for students. Secretary of the prison justice club at KPU, Salehah Hakik, who also volunteered as support staff at the conference, also sees PTSD as a worthwhile topic to explore. Abramson looks forward to students being a catalysts for social change when it comes to policing and mental health. Abramson adds that, while dialogue is key to first responders’ mental well-being, it helps improve people’s mental health more generally as well. “We all encounter difficulty and stress, and even trauma, in our lives, but if we don’t have a place to talk about it and get support, then it festers and becomes debilitating,” she says.